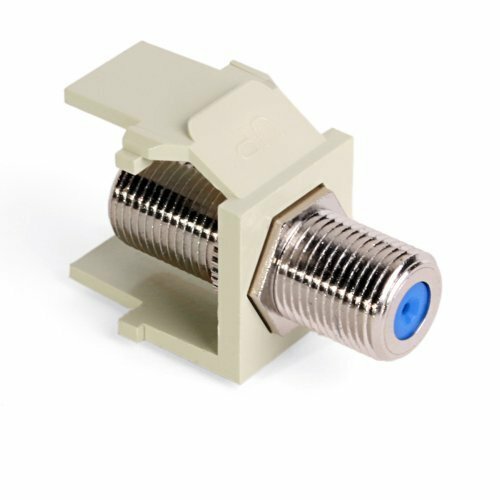 Voice/data/video connectivity for workstation cabling termination on coaxial or multimode fiber cable. 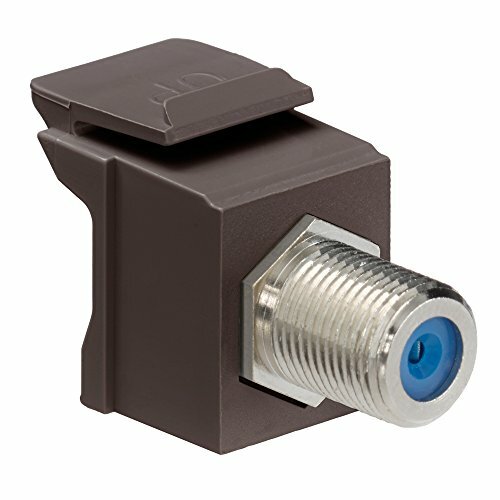 QuickPort bulkhead modules snap into any housing with the QuickPort name flush and surface mount outlets; Multimedia Outlet System (with adapter); Decora Inserts; patch panels; and patch blocks. Voice data video connectivity for workstation cabling termination on coaxial or multimode fiber cable. 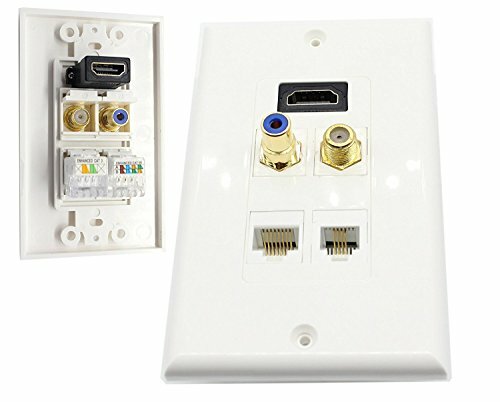 QuickPort bulkhead modules snap into any housing with the QuickPort name flush and surface mount outlets Multimedia Outlet System with adapter Decora Inserts patch panels and patch blocks. 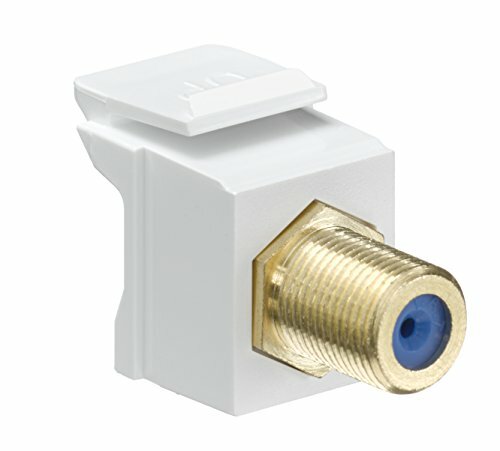 The Leviton 41084-FGF is from the line of data & A/V connectors. 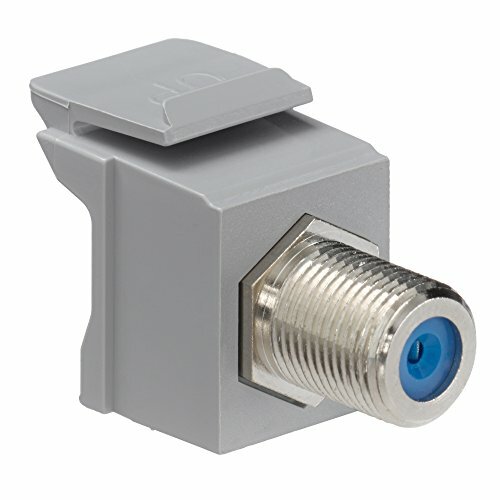 The Leviton feed through QuickPort F-connector comes in gray color. 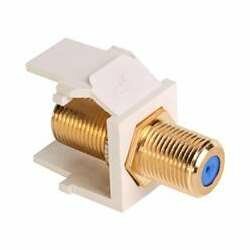 The Leviton 41084-FGF is nickel or gold-plated female-to-female 75 Ω connector, which includes screw-on front and rear connections. 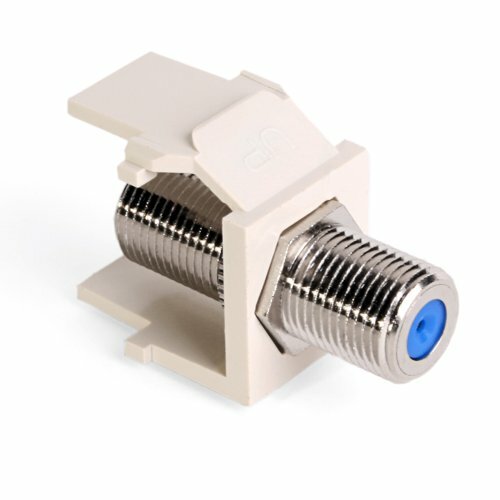 The connector snaps into any QuickPort housing: flush- and surface-mount outlets, multimedia outlet system (with adapter), Decora® Inserts, patch panels, and patch blocks. 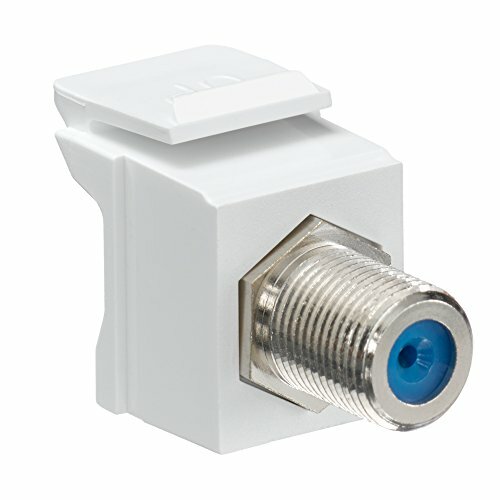 The Leviton connectors are presented in different colors and can match the housings. 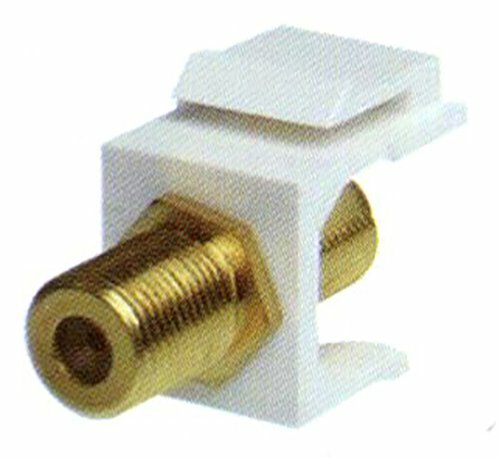 The connectors are UL listed.